1:save energy―save over 30% of energy compared with old-type equipment. 2: Apply advanced rod mill technology of controlling input and output materials, use proper grinding body combining specific grinding materials of actual users. Change surface contact of traditional ball mill to line contact, make discharging granularity of sand making machine more even, and with higher output. 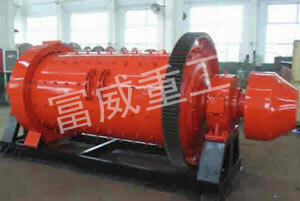 These sand equipment apply to mineral with different rigidity (Mohs' hardness rang 5.5 to 12). 3:Discharging fineness can be adjusted―change the discharging granularity by simple adjustment. With built-in fineness-controlling device and sieving device can be added. Two guards ensure not occur over-milling but also mix the unaccepted product into finished product. 4: Rod mill wet and dry types are available. User can choose as per their actual conditions. For processing Quartz sand, dolomite, monazite etc, magnetic separators can be matched to de-iron.